Craig Manister is an artist who is currently painting still life, inspired by issues encountered while teaching. 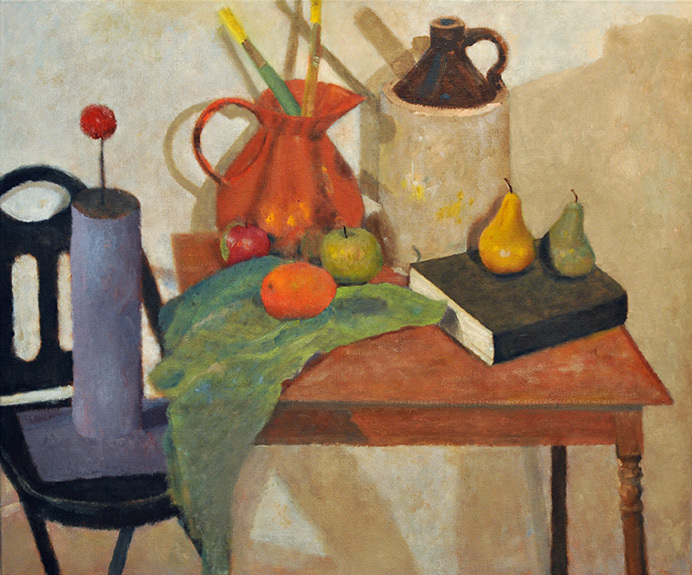 Identifying problems in student paintings from still life, and then finding solutions for the difficulties found has resulted in a personal artistic dialog. For Manister studio practice is a vehicle for engaging the intracies of picture making, focusing on perception, filtered through Art History and classical values. The resultant paintings are valued for the experience, mining the gap between the known and the unknowable. The surprise of a resolution discovered, including elements found in the act of painting, is important for two reasons. One is for the pursuit of beauty revealed. The other for the exploration of a changed self. Craig Manister teaches at the College of Staten Island/ City University of New York. He studied painting with Milton Resnick and Pat Passlof before and after two years spent at the New York Studio School.